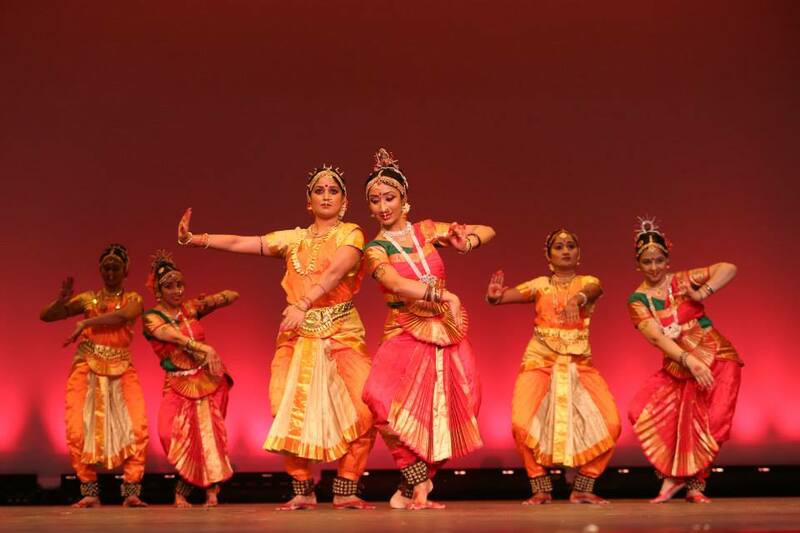 Kuchipudi is a dance-drama performance art, with its roots in the ancient Hindu Sanskrit text of Natya Shastra. It originated in a village of Krishna district in modern era Indian state of Andhra Pradesh. Its first complete compilation is dated to between 200 BCE and 200 CE, but estimates vary between 500 BCE and 500 CE. The drama-dance involves extensive stage movements and exacting footwork, wherein the underlying drama is mimed by expressive gestures of hand (mudras), eye and face movements. Just like the Carnatic music style, Kuchipudi shares many postures and expressive gestures with Bharatanatyam, such as the Ardhamandali (half seating position or a partial squat, legs bent or knees flexed out). However, there are important differences, such as Bharatanatyam as a Hindu temple tradition trending towards geometric perfection and the spiritual, while Kuchipudi as a Hindu festival tradition trending towards more sensual supple and the folksy. 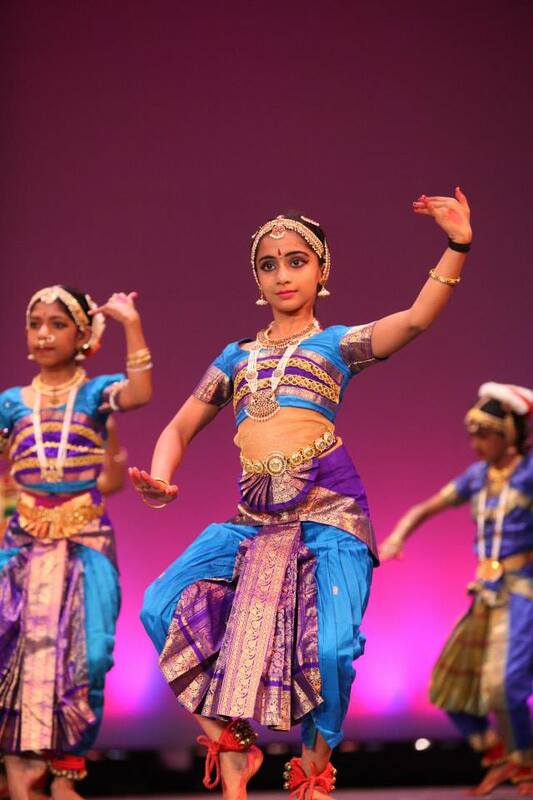 Bharatanatyam is a major genre of Indian classical dance that originated in the Hindu temples of Tamil Nadu and neighboring regions. 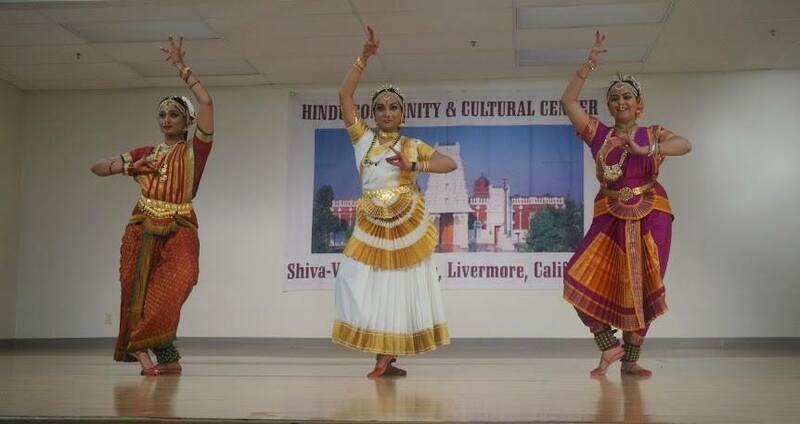 Originally Bharatanatyam was a solo dance that was performed exclusively by women, and expressed Hindu religious themes and spiritual ideas, particularly of Shaivism, but also of Vaishnavism and Shaktism. 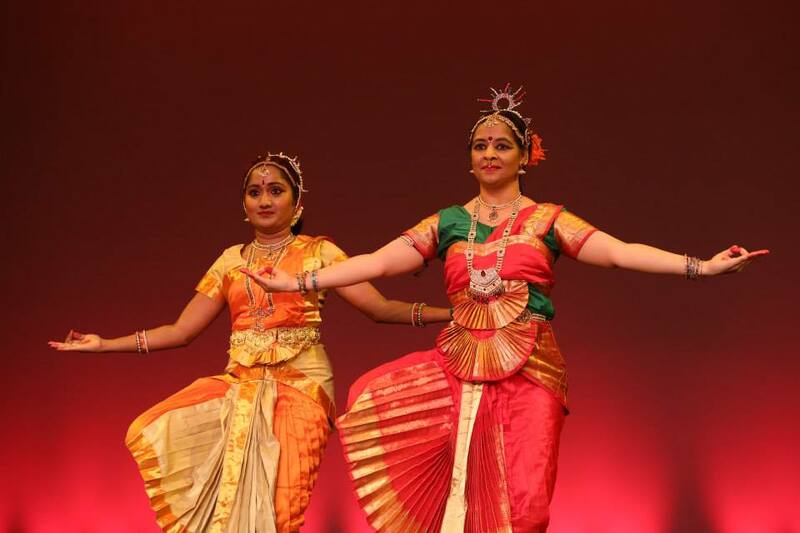 Bharatanatyam style is noted for its fixed upper torso, legs bent or knees flexed out combined with spectacular footwork, a sophisticated vocabulary of sign language based on gestures of hands, eyes and face muscles. 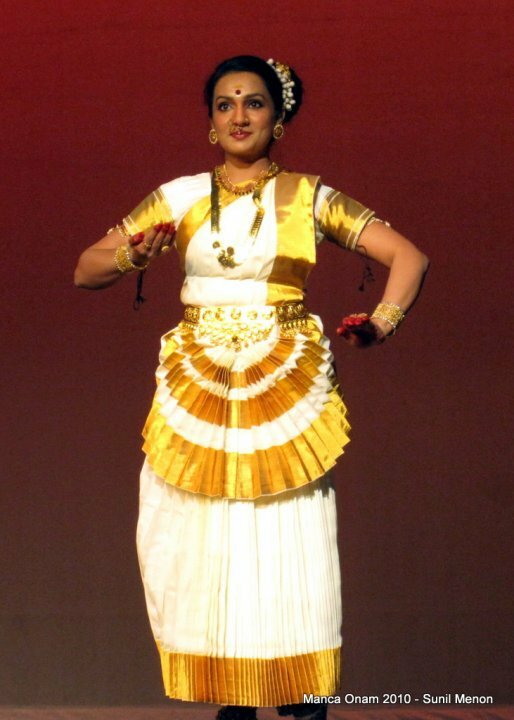 Mohiniattam is a traditional South Indian dance from Kerala. It is a very graceful dance meant to be performed as a solo recital by women. The term Mohiniattam comes from the words "Mohini" meaning a woman who enchants onlookers and "aattam" meaning graceful and sensuous body movements.The lyrics are in Manipravalam, a mixture of Sanskrit and Malayalam. The Mohiniyattam dance is performed to this accompaniment by the subtle gestures and footwork of the danseuse. The performer uses the eyes in a very coy yet sensual manner, the purpose being to enchant the mind without enticing the senses.